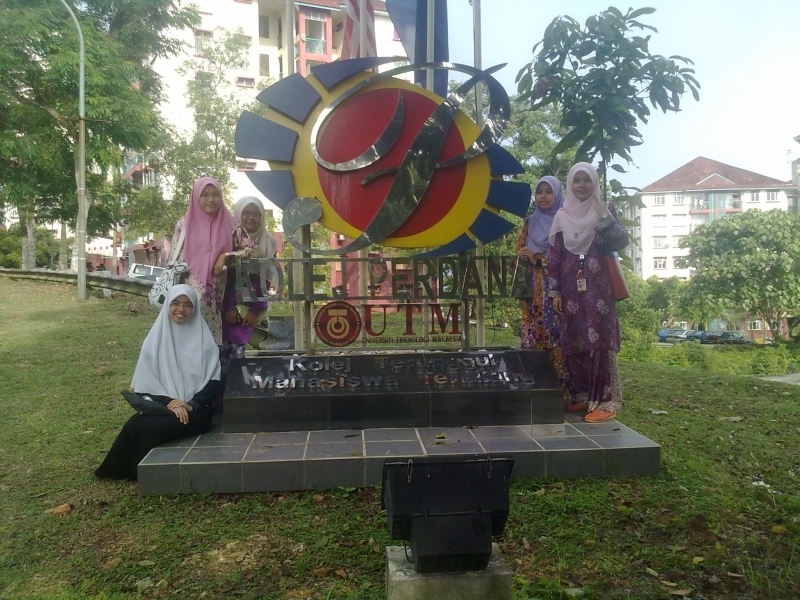 Alhamdulillah, just now, my friends and I just had a great sight-seeing around UTM. We enjoyed our journey very much. 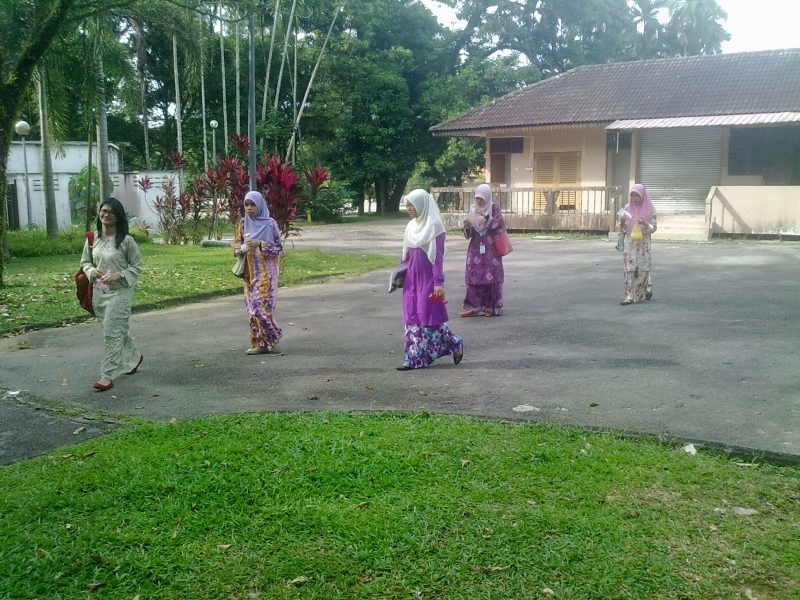 I walked with Epaa, Teno, Intan, Aqilah, Yana, Ain and Syahirah. Here are the pictures from the beginning (somewhat) till the end of our journey. the Cool Blog we bought at the beginning of our journey. bought it at Cengal cafe. 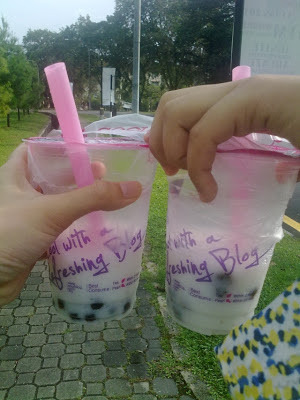 we bought this to keep us refreshed during our whole journey. 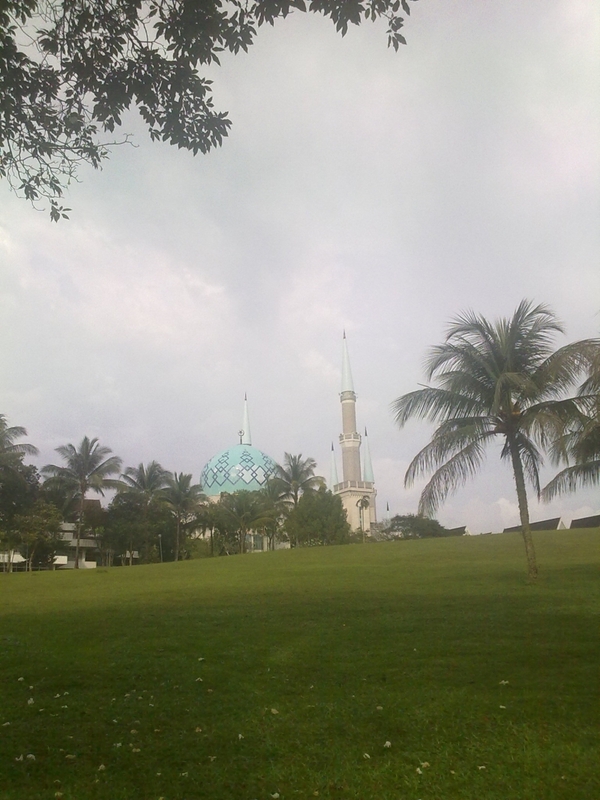 on top of the hill is the UTM mosque. 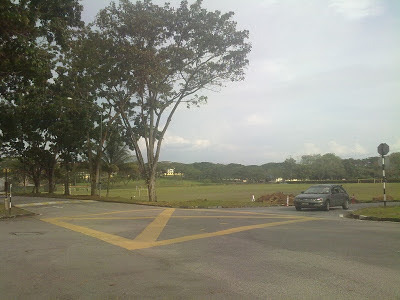 UTM field. The rugby & football team usually practice here. friends again, beside the field. 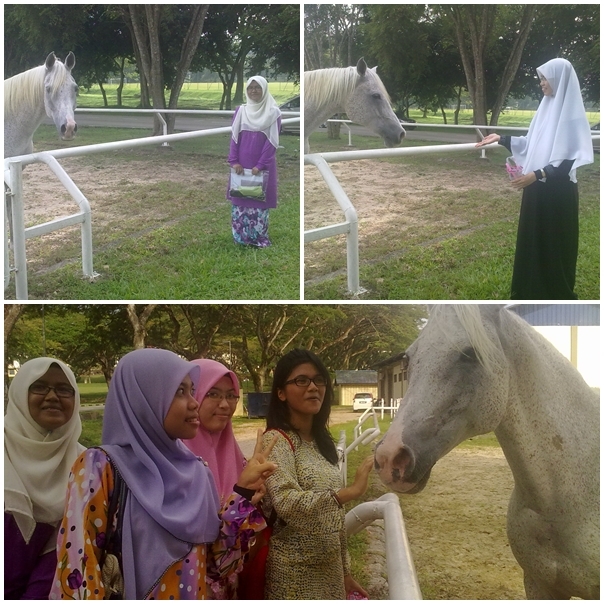 visited the UTM's horse. very good horse. by this time, our cool blog dah habis..
and we started 'hiking' to KP. Finally arrived at our residential college, Kolej Perdana! 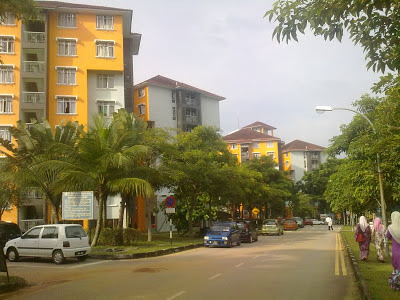 "Kami warga kolej perdana, sentiasa setia bersama, menuju cita-cita untuk masa hadapan.."
ok tetiba nyanyi lagu kolej. on the left is U5, the girls' block, yangdepan tu pulak, U6, guys' block. 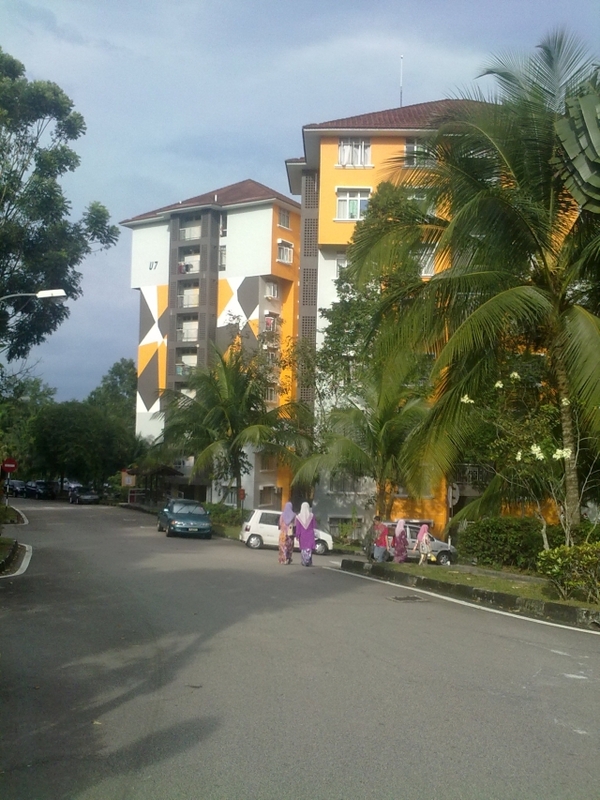 aaaand, this is our block! U7. just beside U6. 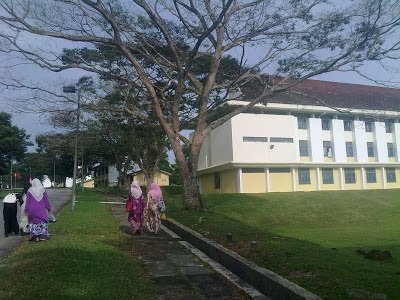 yes, we have to walk further to reach U7. srots. What an experience. 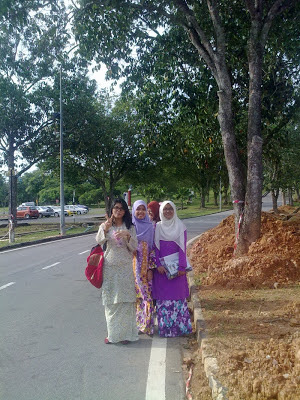 Ok, actually, we started our journey from Kolej Tun Razak (KTR) to Kolej Perdana (KP). Let me show you the image of our route. Our route is the pink one. 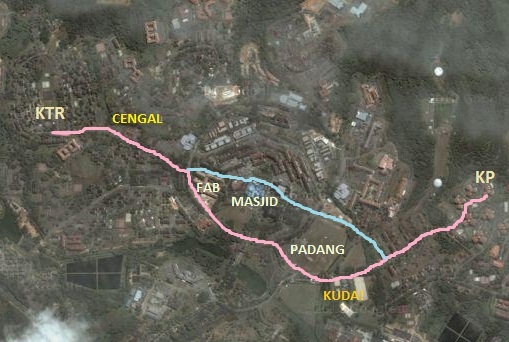 The blue one is the other route, but it's too berbukit-bukau. Yes, it was rather far. 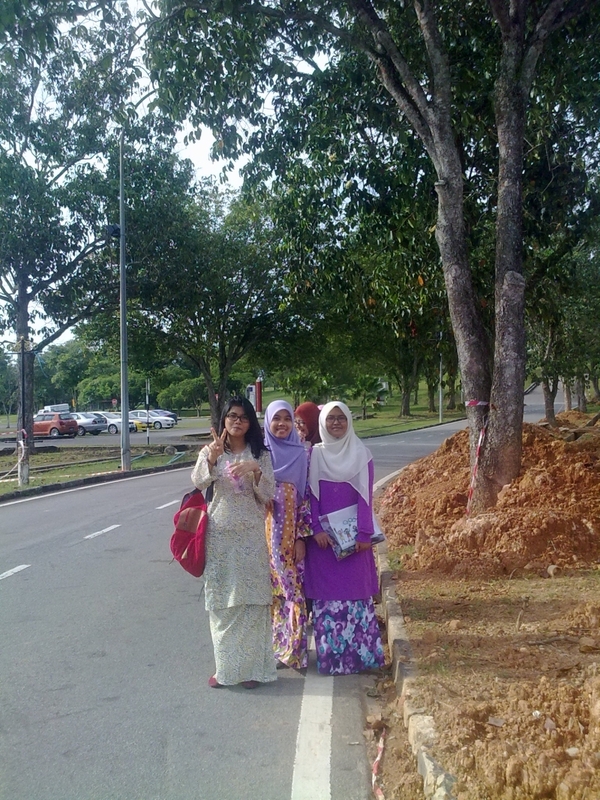 What a long journey we had. and the best part is, we walked! 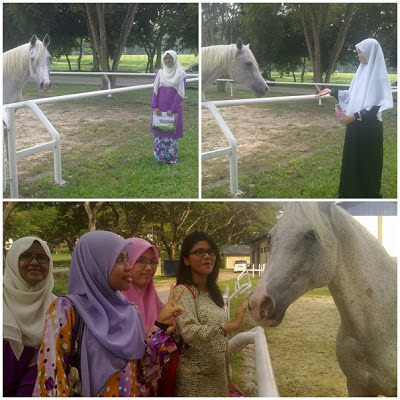 It was a good work out since we rarely go jogging. keh keh. Why do we walk that far? actually, we just sat for an exam at KTR. 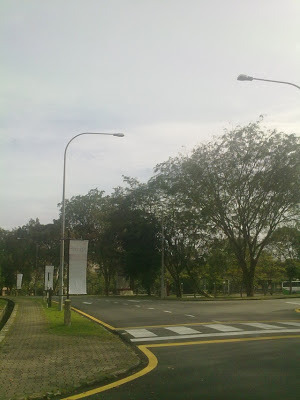 We went there by bus at 2.00pm. but when we wanted to go back to KP, there was no bus. We tried calling for delivery services, but everyone is busy. 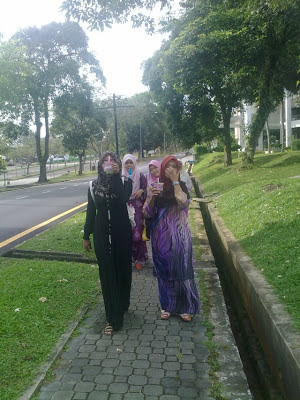 So, we decided to walk. It was around 4.15pm and the sun is shining, but alhamdulillah UTM has a lot of trees, so it was not that hot. 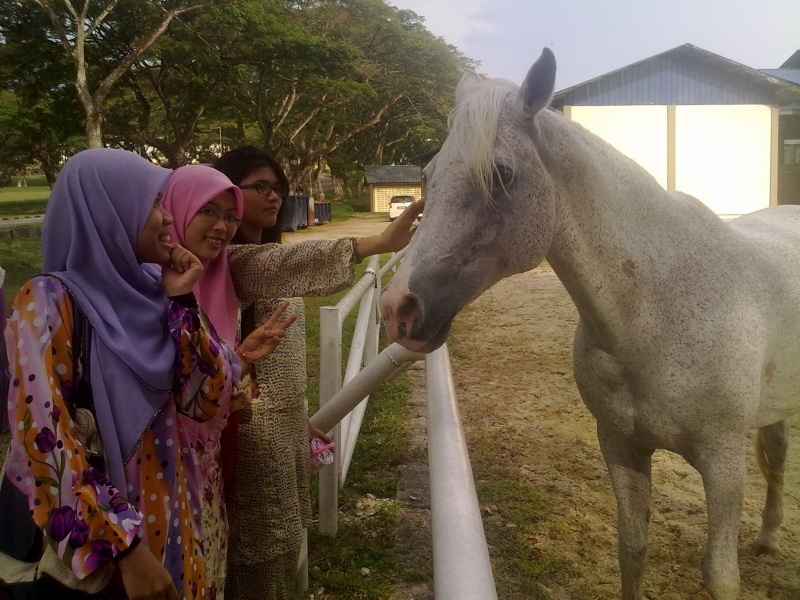 Oh, our whole journey took place on around 45++ minutes (including buying cool blog at cengal and visiting the horses). Aaanyways, the paper we sat for just now is Introduction to Teaching. turun dua kilo dah! haha. haha. exaggerate turun 2 kilo! ceh, skali check kan penimbang betul ek. betuuull.. ngantuk bangat.. tido la sat.. lepas tu bangun, study. huhu.